Rachel joined HEPI in November 2018, as Director of Policy and Advocacy. 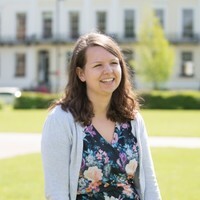 Prior to joining HEPI, Rachel held a number of roles at the Higher Education Statistics Agency (HESA), focused on data policy and governance and gathering requirements for information that could be met from HESA data. Rachel also lead on the review of data on graduate destinations and designed and implemented the new Graduate Outcomes survey. Rachel is a graduate of the University of Bath, where she also briefly worked with the careers department.